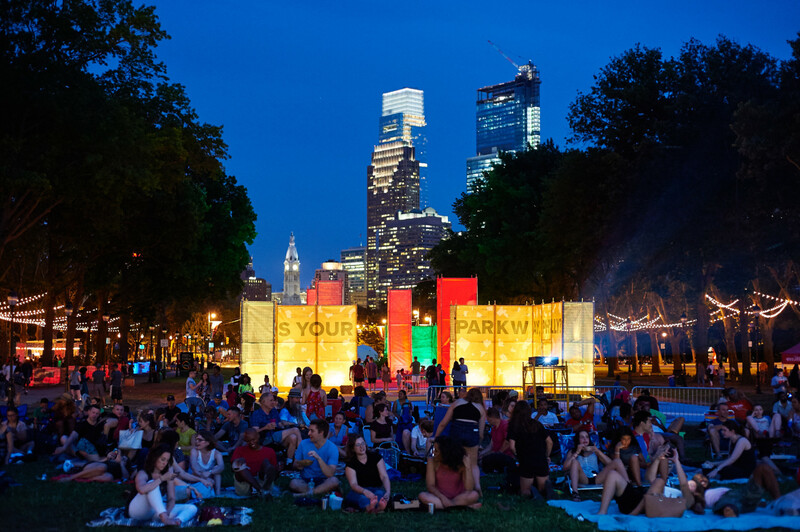 In February 2017, PORT was retained by the Fairmount Park Conservancy to help imagine the next phase of their wildly popular Summer at Eakins Oval program. 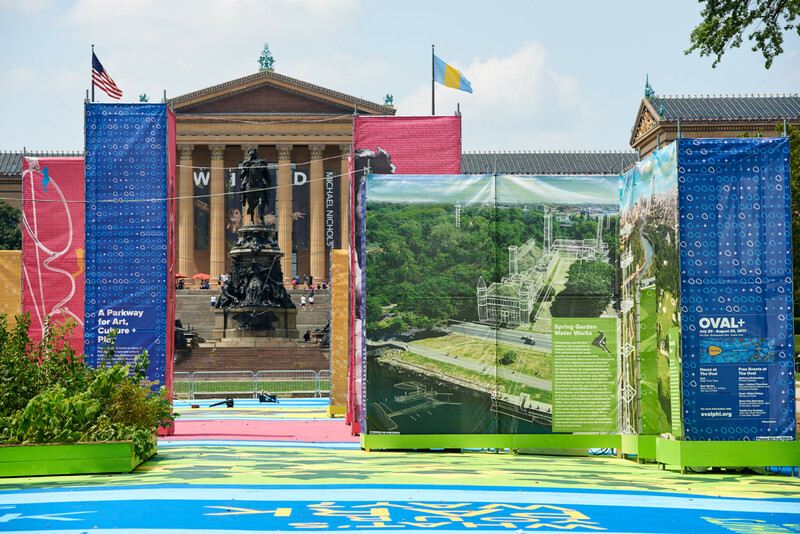 PORT was asked to look at both the space of the Oval, as well as the larger Benjamin Franklin Parkway, to image what an expanded summer installation might become. 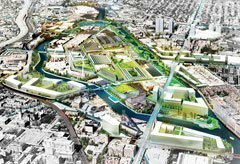 From this work, PORT proposed OVAL+, a concept for occupying the Oval and the Parkway using a system of illuminated pavilions anchored by dramatically patterned and colored ground surfaces. 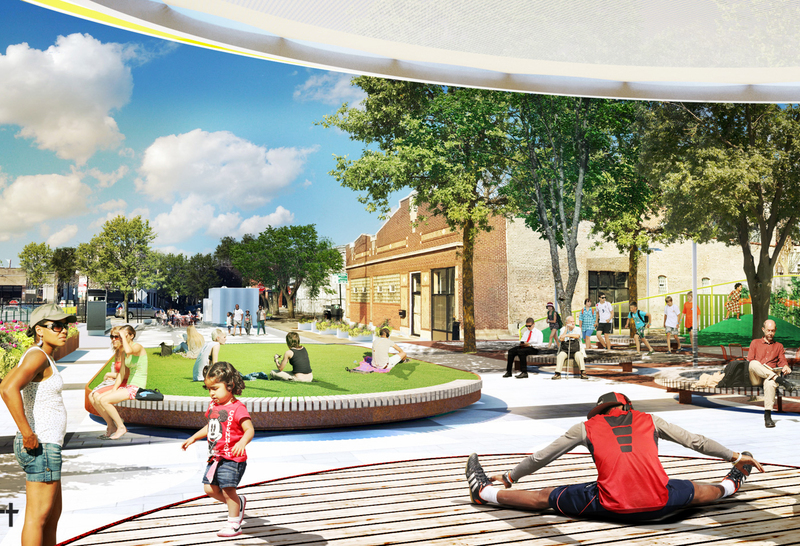 The 2017 OVAL+ project includes installations at Eakins Oval, Shakespeare Park and Aviator Park. 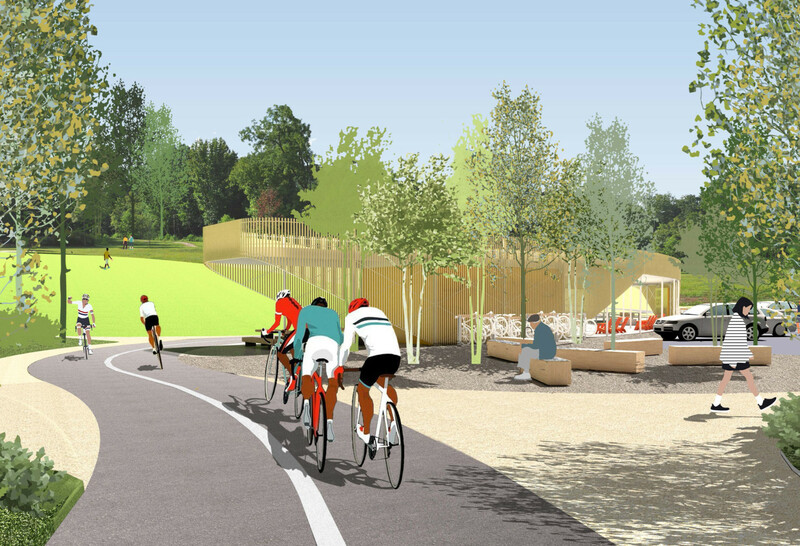 The OVAL+ project is organized around a series of large landscape rooms that introduce the visitor to various aspects of the Parkway and Fairmount Park including hidden and unknown treasures, unique biotic assets, as well as the art and culture of the city. 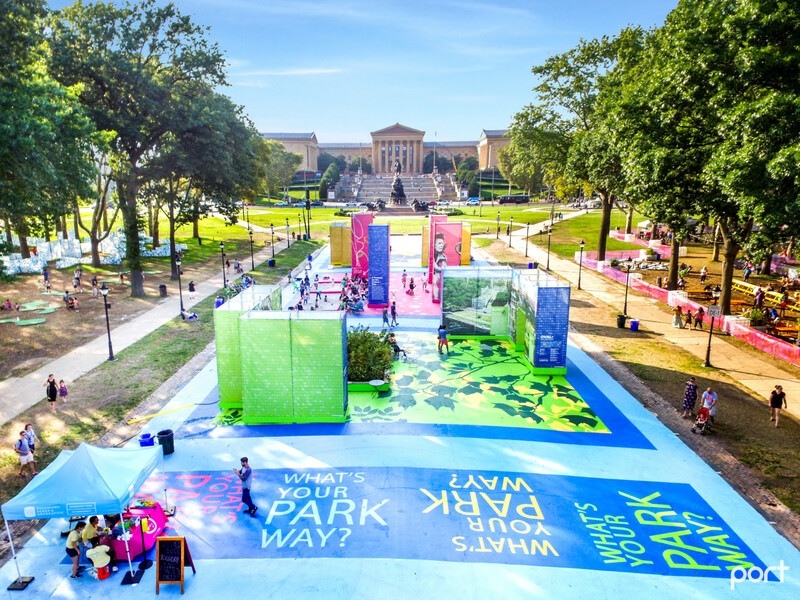 These aspects are organized in relation to a simple question—“What’s your Parkway, Philly?”—and are intended to probe the changing roles the Parkway and the Oval play in the daily life of Philadelphians. 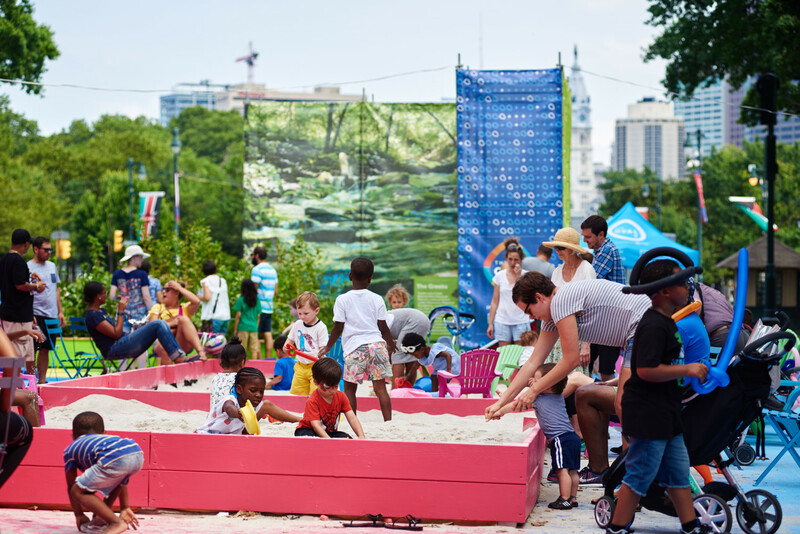 Using various feedback mechanisms—social media, interviews, public events, etc.—PORT is collecting information and observations from the 2017 installation that will be used to inform future incarnations of the OVAL+ program, as well as longer-term, more permanent transformations of the Benjamin Franklin Parkway. 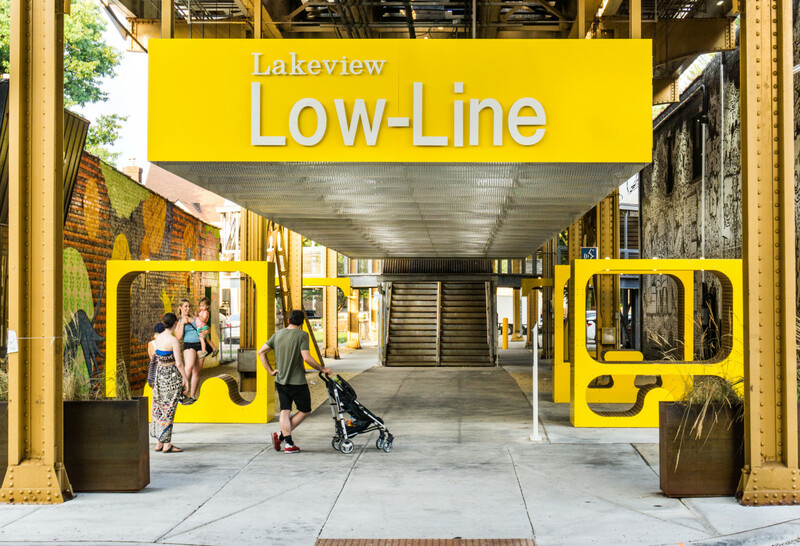 Ongoing planning for the 2018 OVAL+ project anticipates installations and interventions along the entire length of the Benjamin Franklin Parkway, from the Philadelphia Museum of Art to Logan Square. 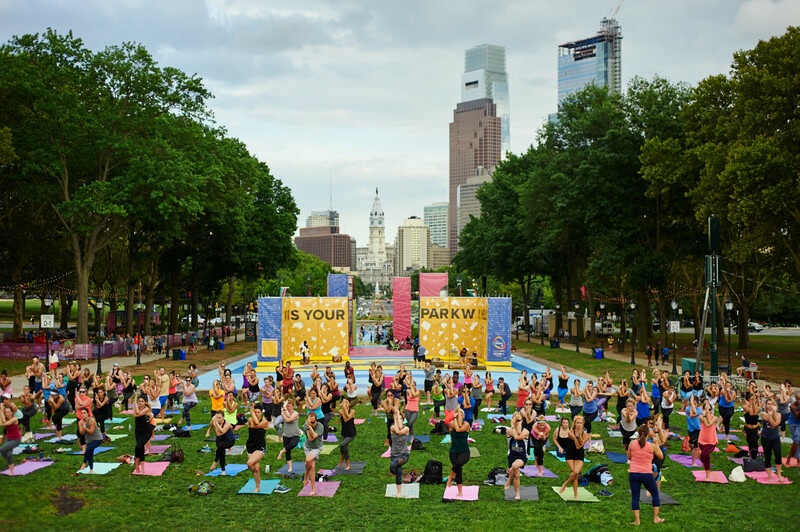 Photograph courtesy of the Fairmount Park Conservancy.